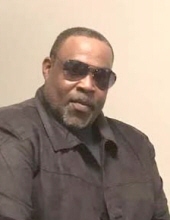 Celebrating the life of George L. Tucker Jr.
Obituary for George L. Tucker Jr.
George Leroy Tucker Jr., age 54, of Westminster, passed away Sunday, April 7, 2019. Born December 19, 1964 in Westminster, he was the son of George L. Tucker Sr. of Union Bridge and the late Shirley Howard Tucker. He was the stepson of M. Denise Tucker. In earlier years George enjoyed playing little league baseball. He was a 1982 graduate of Francis Scott Key High School, where he played football and was a member of the marching band, playing the saxophone. Following graduation, he joined the Army and was stationed in Germany. He served for two years. For many years he was employed as a truck driver. George was a member of Strawbridge United Methodist Church, New Windsor, where he sang with the ensemble, men’s group and multiple choirs. He was known for his beautiful singing voice. He enjoyed building and remodeling and was an avid Baltimore Ravens fan. Surviving, in addition to his father and step-mother, are children, Kawaan L. Tucker and fiancée Billie Jo Malott, Shanea D. Tucker, Shirley M. Tucker and Trejan T. Tucker, all of Westminster; grandchildren, Zach Malott, Heaven Woodyard and Dequan Gaines; companion, Susan Humphries of Westminster; sister, Terri L. Dotson and husband Eugene of Union Bridge; and many nieces, nephews, aunts, uncles and cousins. The family will receive friends at Hartzler Funeral Home, 6 E. Broadway, Union Bridge on Friday, April 12 from 2 to 4 and 6 to 8 p.m.
A funeral service will be held at Westminster United Methodist Church, 165 E. Main St., Westminster on Saturday, April 13 at 11 a.m. Ambassador Blango Ross, his pastor, will officiate. Military interment will follow in Strawbridge Cemetery, New Windsor. To send flowers or a remembrance gift to the family of George L. Tucker Jr., please visit our Tribute Store. "Email Address" would like to share the life celebration of George L. Tucker Jr.. Click on the "link" to go to share a favorite memory or leave a condolence message for the family.